As a six-times Grammy Award winner with hits spanning almost five decades, Billy Joel needs little introduction. While the composer, pianist and singer-songwriter may have been introduced to the Songwriter’s Hall of Fame back in 1992, the American songsmith lays claim to another remarkable – and unique – accolade. On October 1 1982, Joel’s sixth studio album, 52nd Street, was the first commercially released CD album…which means CDs are 30-years-old today. It’s worth noting here that 52nd Street wasn’t a new album – it was launched initially in 1978, but it was selected for relaunch on the new digital audio disc, rolling out alongside the first CD player – the Sony CDP-101 – in Japan. But of course, the CD didn’t spring up overnight – the road to launch started long before 1982. It was way back in 1974 when a project kickstarted from within the audio industry group at Philips in the Netherlands. The premise was to develop an optical audio disc with superior sound to that of the incumbent vinyl format, and coming in at 20cm, the initial dabblings were far chunkier than the products that eventually went to market. Fast forward three years to 1977, and the group established a lab with the sole mission of building CDs and players – they opted for the name ‘Compact Disc’ because it was in line with another Philips offering, the compact cassette. Oh, and it was also sheared by 8.5cm in diameter, with the new discs offering awesome audio packed in to a mere 11.5cm. Simultaneously (and independently) Sony had also been working on CDs, first demoing its efforts in September 1976. However, both Sony and Phillips would eventually partner for the commercial launch in 1982, which saw the final diameter come in at a still-small 12cm. And the rest, as they say, is history. As with most new technological innovations, skepticism was rife around this new revolutionary format. But it goes without saying that the CD helped drag the music industry into the modern digital era. A lot has happened since then too – audio cassettes have more-or-less died out, the short-lived MiniDisc (MD) proved a very enjoyable distraction (I LOVED them), and today we’re very much in the middle of a digital music revolution. Indeed, things are progressing at breakneck speed – we’re already hearing whispers of ‘Death to the Download’, with streaming accounting for 89% of digital music sales in Sweden alone. 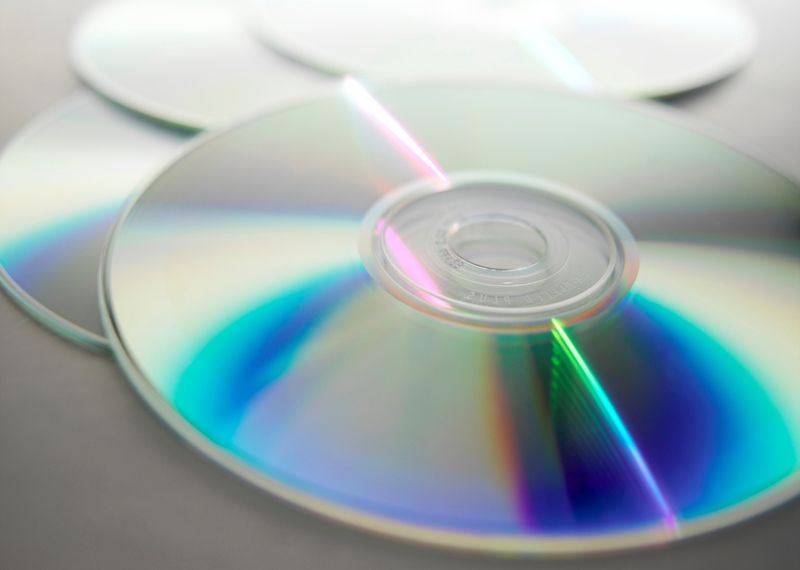 What does the future hold for CDs? Well, they’re on their way out for sure if we’re to believe recent stats, though there may still be a little life left in them yet. For example, in the UK last year, CD album sales fell by 13%, with 86.2 million discs shifted. And it was a similar story in the US, with a fall of 6%. Interestingly, however, Vinyl album sales went through the roof (relatively speaking), with 3.9 million records sold in the US, compared to 2.8 million the previous year. And as we reported earlier this year, HMV is looking to help get its in-store sales back on track by increasing its vinyl selection. So…can the humble CD follow the vinyl record, and fend off the iTunes, Last.fms and Spotifys of the world? Speaking purely from my own experience, the only time I ever listen to CDs now is in the car – as I’m too lazy to get the mp3 player connection fixed. My first ever CD album purchase was Michael Jackson’s Dangerous way back in 1991, and I do hold a lot of good memories around these little circular sheaths. But nostalgia alone isn’t enough to keep a format alive – the reason vinyl has survived is because it does offer something genuinely different to what else is out there, and it also lets DJs do things that’s difficult to replicate through other means. Given that the quality of a CD can be replicated in a non-physical format, there’s no reason why they’ll survive another thirty years, and it seems likely that another generational shift or two will be enough to consign them to the history books for good. I won’t be too disappointed if I’m proved wrong, however.